"Tales from the Porch", the 2018 release of Los Angeles based band Crave and Wonder takes the listener on a musical journey that cites Lucinda Williams meets Deep Purple with a dash of Beatles and Sheryl Crow as their influences. The album came to life on a colorful and cozy wooden back porch in the heart of Los Angeles but ended up being recorded on two continents. After the initial demos had been finished, the tracks were sent to drummer Carsten Enghardt, who recorded all the drum tracks at 1st Take Studios in Gachenbach, Southern Germany. Carsten, being a veteran of both the European recording and the touring music scene, came highly recommended by Arnold's German colleague, master guitar player Andy Susemihl. Working with Carsten over Skype and the phone, while being in two different time zones was just an all-around amazing experience. 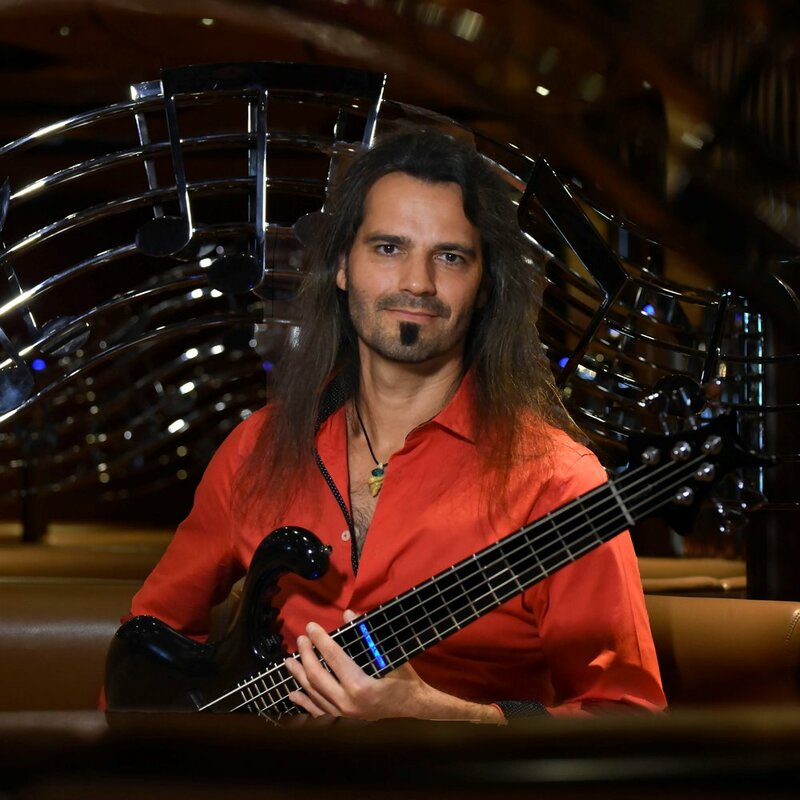 With the drum tracks finished, the songs came back to the US, where German bass virtuoso and studio ace Martin Motnik, who had been recommended by Carsten, recorded all his bass tracks at his home studio in Florida. With the recordings now taking on a whole new dimension, Arnold and Debbie decided to add keyboards to the songs, and boy, did that turn out to be a great idea! Carsten introduced us to Jens Skwirblies, the keyboard player in one of Germany’s longest running rock bands, Lake. So back to Germany the tracks went. Working with Jens turned out to be a real blast. His wonderful pianos, swampy Wurlitzers and Rhodes, and ripping Hammond B3 tones added a whole new dimension to the songs, providing sonic textures that compliment Arnold's guitars. The guitar tracks were then re-recorded in Los Angeles, and thanks to modern technology (hurray for Load Boxes and Impulse Responses), all were done in Arnold's home studio. Lastly, all the vocals were re-recorded in Debbie's home studio. One must wonder though, why do trees needed to get trimmed and chain sawed in a neighborhood, precisely when vocal recordings are scheduled? Who knows! With all the recordings finished in September 2018, the final touches were provided by Elliot Hunt, who mixed and mastered the album at Alcheh & Hunt Studios in Burbank, CA.